Can You Mow A Wet Lawn? Can you mow a wet lawn? The obvious answer is probably not, and LawnGuru certainly wouldn’t suggest it, but sometimes it is just unavoidable. The first step is deciding whether or not you are willing to put up with the disadvantages. If you decide that the pros of mowing your wet lawn outweigh the cons, then keep reading for the best practices to follow when it comes to mowing a wet lawn. Does Your Yard Pass The “Too Wet” Test? Damp grass will be a lot safer to mow than a heavily saturated yard. Less water also means it will be easier for you to rake after you mow, in case of clumps. The easiest way to test if your yard is too wet is to step on it. If your grass or lawn is sinking underneath your feet when you step on it, then it is too wet to mow. The worst type of grass to mow when wet is grass that’s too long or tall. Tall grass is already difficult to cut and should be done in multiple mowing appointments. Mowing grass that’s both tall and wet can lead to disaster. Not only can cutting tall, wet grass damage your lawn and rip out roots, but it can also potentially damage your lawn mowing equipment. If you need to mow your wet lawn, make sure your mower blades are as sharp as possible. 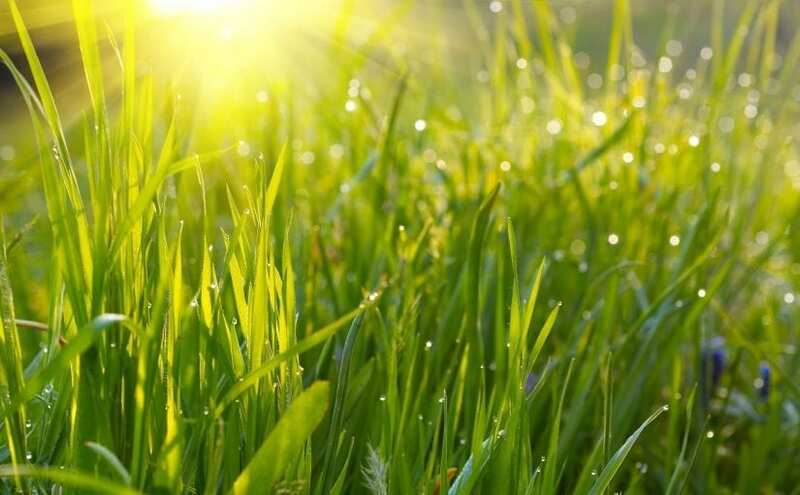 Dull blades can lead to a jagged and uneven cut, and even tear out wet grass from the ground which can mean significant damage to your lawn. Sharp blades, on the other hand, will produce a clean cut. The point of lawn care is to make sure your lawn looks good, so make sure you have the proper equipment before going out there! Wet grass tends to stick to the mower. Make sure to take care of your equipment by cleaning away the clippings underneath the mower deck post mow. Any clippings left inside can mold. Also, be sure to remove any mud so it doesn’t harden on equipment. Mower blades, dull or sharp, can lead to injury, so be careful when cleaning the underside of your lawn mower! After reading this post, you’re probably starting to wonder if mowing your wet lawn is ever worth it. Well, downloading the LawnGuru app means never having to worry about mowing a wet lawn again. All you have to do is select a day that fits your schedule and a LawnGuru service provider will take care of the rest. Your LawnGuru provider will determine if your lawn is really too wet or if the weather doesn’t allow for lawn mowing. If that’s the case, LawnGuru ensures that the job gets done on the next dry day!